Research interests: International public law, international human rights, international humanitarian law, law of armed conflicts, international criminal law, international environmental law. Research interests: Post-communist financial systems, Russian and Eastern European politics, democracy and the market, institutionalist theories, comparative politics, post-communist identity politics, and international political economy. Research interests: International public law, international humanitarian protection, international criminal law, law of armed conflicts and international relations. Research interests: Criminal law, human rights, victims, sentencing and criminal justice. Research Interests: Gay, lesbian and bisexual youth, gay and lesbian aging, access to health care, HIV prevention, sexual health, homophobia. Has worked on this issue in Eastern Europe. Research interests: Biology and physiology of aging skeletal muscle; adaptive plasticity of skeletal muscle in health, disease, and aging; role of mitochondria in skeletal muscle health, disease, and aging; interventions to protect and/or restore mass and function of aging muscle; biology and physiology of the aging heart. Research interests: Sport psychology, pedagogy, coaching knowledge & behaviours, team building, psychology of athletic injuries (concussions). Research interests: Motivation in youth sport and physical activity; school-and community-based physical activity promotion; physical education and healthy development. 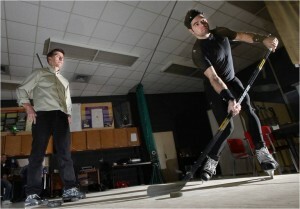 Research interests: Exercise physiology, biomechanics, applied ice hockey research (ice hockey science research group which evaluates the mechanical function of skates, sticks and protective equipment with respect to skill performance and safety, in partnership with Bauer Hockey Corp).